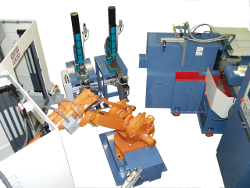 Different production processes can be integrated into one line and handled automatically. 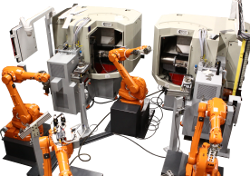 Different production processes such as bending presses, painting plants or packing machines can be combined and integrated into one robotic cell. 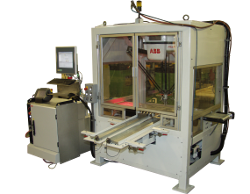 Sorters store workpieces made for cut material or insert them into a magazine. 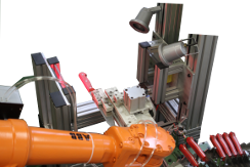 For several years the Berger Gruppe works with robotics in order to load and unload CNC controlled and conventional machines. The Berger Gruppe offers CNC handling systems with full CNC-control of vertical and horizontal motions of load and transfer. The Berger Gruppe offers a variety of pneumatic handling systems for loading, transfering and unloading of workpieces. 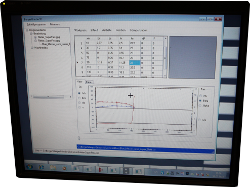 Development of laser measuring systems for the measurement and compensation of automated measurements / contours. 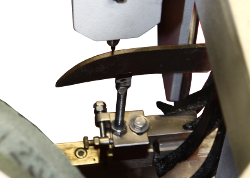 The mechanical measuring sensor is used for the detection of the position of workpieces.